Our energy power saver device - Basic Power Unit (BPU™) - saves you 8% to over 20%* of your every energy bill. BPU™ contains a unique solid state electromagnetic reactor core that monitors all of the electric power running throughout your facility, instantaneously correcting any sensed anomalies as they occur making energy very efficient. Let us pick the right device for you! 900 kWh is an average electrical consumption per household a month in the US. What is the Basic Power Unit? The most efficient energy management system ever created. 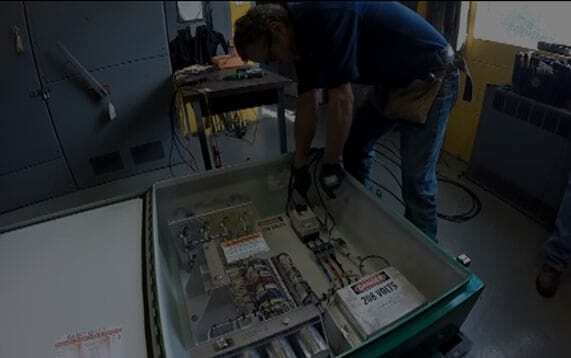 The Basic Power Unit – The BPU™ is a revolutionary solid state energy management system that reduces electric usage, protects valuable electrical systems and electronic equipment, improves motor and machine performance resulting in reduced maintenance costs, increased equipment service life and ultimately helping businesses lower total system life cycle costs and achieve green building objectives. Based upon an electromagnetic reactor core utilizing patented twin toroidal power quality transformer technology, the BPU™ consistently reduces kWh consumption and kW demand from 8% to 20% +. There are 5 BPU™ models available for 480V systems and 5 BPU™ models available for 208V systems. Units have been sized for both monthly kwh consumption and running amps. The TRU-WATTS model has been created for 120/240V residential systems. Residential BPU™ product line is called "TRU WATT". There are single-phase TRU WATT models available. There are three single-phase small commercial models and five 3-phase commercial models products available. There are four 3-phase commercial models products available. Devices can be combined to fit different load cycles. How Does The Basic Power Work? The BPU™ electromagnetic reactor core dynamically monitors the incoming power from the electric utility and corrects any anomalies before they reach your electrical systems and sensitive electronic equipment. The BPU™ then monitors all of the electric power running throughout your facility, instantaneously correcting any sensed anomalies as they occur. Electric current degraded by internal systems and loads cannot be utilized by other devices, so that portion of the energy you pay for at the meter is wasted. The reactor core captures the distorted, wasted energy and transforms it back into usable energy and then releases it into the building electrical network as your equipment and systems call for it. The BPU™ senses and corrects anomalies in the electrical service arising from the utility supplied electrical service and power quality issues created within your building to make your electrical power very efficient. The BPU™ clips the energy spikes that are generated when equipment is switched on to reduce your “Peak Demand” which your utility company uses as a benchmark rate when billing you. The BPU™ reduces harmonic distortion within your electrical service and recycles this energy back into useful power. The BPU™ helps balance electrical phases allowing motors and systems to run cooler and smoother reducing equipment maintenance and increasing system lifespan. The BPU™ suppresses sags and surges and optimizes the electrical voltage entering your building. Over 5,000 current or previous generation BPU™ units are installed throughout North America, Europe and the Middle East. We proudly present reports from the buildings where BPU™ was installed and detailed results of what was achieved. Green World Technology Group is a Basic Power Unit Master Distributor and the exclusive Master Distributor of the BPU in Illinois. The BPU, a patented design, is manufactured by Basic Power Inc. East Stroudsburg PA and is an American made product GreenWorld Technology Group is actively seeking sales partners to help market the BPU technology and Electricians/Electrical Contractor partners to facilitate system installations. Call us now!Toll free number!